International. 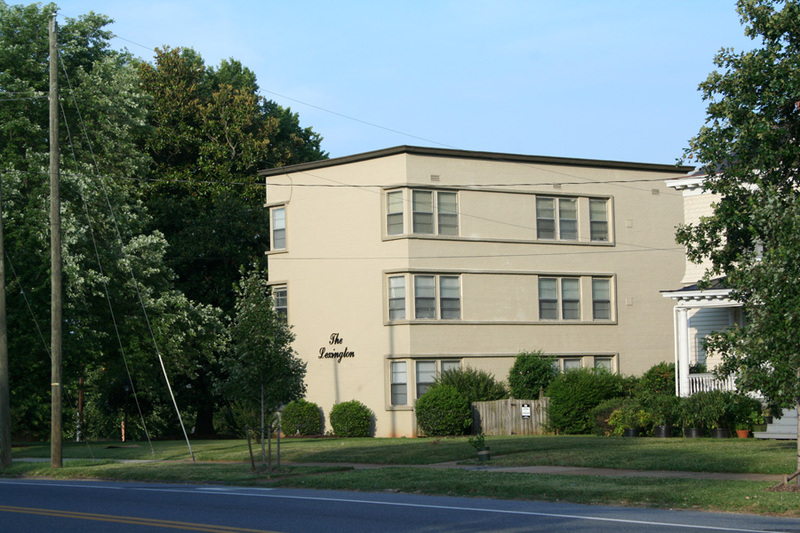 3-story, L-shaped International-style brick apartment building with several setbacks and a flat roof. International elements include corner windows, brick banding around banks of windows, and minimal ornamentation. Some decorative metal grillework, greenstone and brickwork at main entrances. There are three entrances on the side and front of the building.